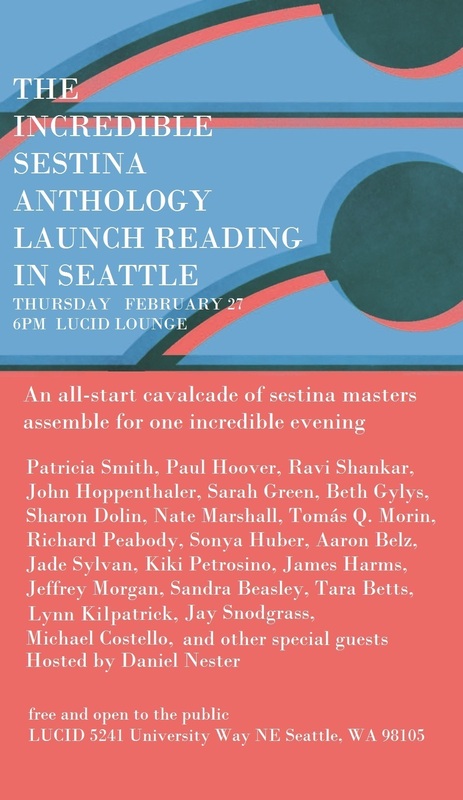 The Incredible Sestina Anthology Comes to Seattle! If you’re in Seattle, come out this Thursday to LUCID, a cool jazz club that will be filled with Sestina Masters. It’s free and it’s a Stranger pick. Just sayin’.